The lead singer and primary songwriter of the New Jersey rock band The Smithereens has died. Pat DiNizio, 62, was reportedly rehabilitating from a fall when he passed away yesterday (Dec. 12). The location of his death was not reported. The Smithereens had been planning a tour next month. 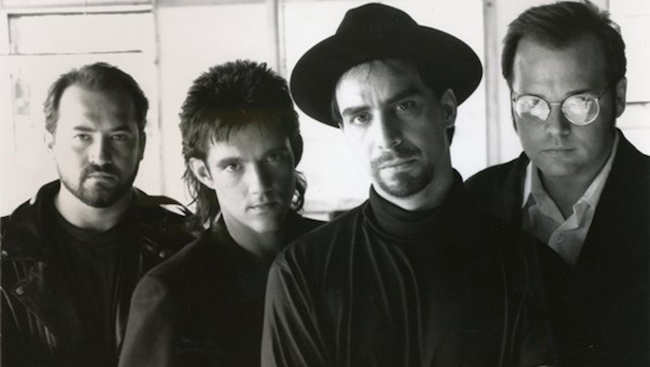 “It is with great sadness that we announce the passing of Pat DiNizio, lead singer and songwriter of the influential New Jersey rock band, The Smithereens – America’s Band. Pat was looking forward to getting back on the road and seeing his many fans and friends. Please keep Pat in your thoughts and prayers. “Today we mourn the loss of our friend, brother and bandmate Pat DiNizio. Pat had the magic touch. He channeled the essence of joy and heartbreak into hook-laden three minute pop songs infused with a lifelong passion for rock & roll. Our journey with Pat was long, storied and a hell of a lot of fun. We grew up together. Little did we know that we wouldn’t grow old together. Goodbye Pat. Seems like yesterday. The Smithereens were formed in 1980 in Carteret, N.J., by DiNizio (vocals and guitar), Jim Babjak (lead guitar, vocals), Dennis Diken (drums) and Mike Mesaros (bass). They released their first indie EP, titled Girls About Town, that year, followed by Beauty and Sadness, also an EP, in 1983. Signed to Enigma/Capitol Records, they released their debut full-length album, Especially for You, in 1986, which peaked at #51 on the Billboard LP chart. The group, which favored a melodic, ’60s-inspired power-pop-rock approach, followed that album with Green Thoughts (1988, #60), 11 (1989, #41) and two more charting albums, Blow Up (1991, their last for Capitol) and A Date With the Smithereens (1994 #133), as well as several others, including 2007’s Meet the Smithereens, on which they covered the entire Meet the Beatles album. They also released B-Sides The Beatles, in 2008, and The Smithereens Play Tommy, a remake of the Who’s classic album. The Smithereens’ final album was 2011, released that year. The Smithereens placed four singles on the Billboard chart as well: “Only a Memory” (1988, #92), “A Girl Like You” (1989, #38), “Blues Before and After” (1990, #94) and “Too Much Passion” (1992, #37). Mesaros left the band in 2006 and was replaced on bass by Severo Jornacion. Patrick Michael DiNizio was born October 12, 1955, in Plainfield, N.J. 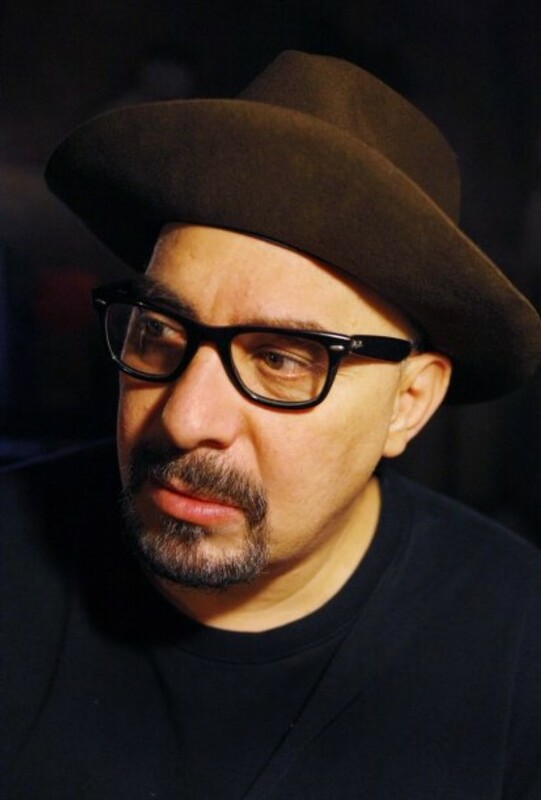 In addition to his work with the Smithereens he performed solo concerts and released four solo albums: Songs and Sounds (1997), This is Pat DiNizio (2006), Pat DiNizio (2007) and Buddy Holly (2009). He also recorded an audiobook, Confessions of a Rock Star (2009), which he turned into a show, and appeared in several films and television programs, including 1992’s Singles. DiNizio’s music was used on numerous film soundtracks, including Bull Durham and Backdraft. In 2000, DiNizio ran, unsuccessfully, for the U.S. Senate from New Jersey. He came in fourth in the race and his campaign was chronicled in a documentary film, Mr. Smithereen Goes to Washington. He also tried out (also unsuccessfully) for a minor league baseball team, again capturing his adventures in a film, 7th Inning Stretch. Best Classic Bands Editor Jeff Tamarkin has been a prolific music journalist for more than four decades. He is formerly the editor of Goldmine, CMJ andRelix magazines, has written for dozens of other publications and has authored liner notes for more than 80 CDs. Jeff has also served on the Nominating Committee of the Rock and Roll Hall of Fame and as a consultant to the Grammys. His first book was 'Got a Revolution! The Turbulent Flight of Jefferson Airplane.' He is also the co-author of 'Shell Shocked: My Life with the Turtles, Flo and Eddie, and Frank Zappa, etc.,' with Howard Kaylan. So what exactly did Pat die from? Was he alone? Because all I’m seeing online is that he was recuperating from a fall.